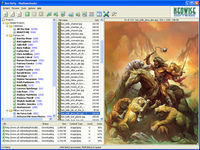 Nici automatically finds, downloads and organizes free pictures and movies from the web. 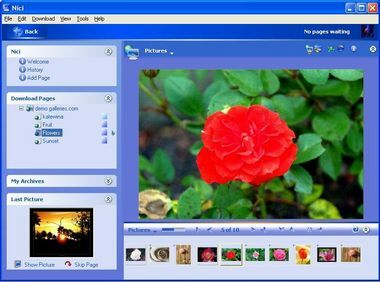 View your pictures in a slideshow, with morphing and in full screen, normal or monitor window modes. Organize your pictures by giving them a rating out of 10, or by using picture categories. Track which pages you have already downloaded and which are fresh links. Stop others from accidentally accessing your pictures with Nici's security and privacy features. Nici uses a proprietary HTTP downloading engine which can simultaneously download from up to 10 different pages, and does not pollute your system's cache, cookie and history folders.